The kitchen isn’t just for cooking delicious, healthy meals. You can use fresh ingredients to make delicious smelling POTPOURRI! ♥ Avoid all the chemical-filled air fresheners with this all-natural, better-smelling alternative. ♥ Save money: You can use up orange peels, apple peels, lemons after you’ve squeezed the juice. ♥ They make great, inexpensive gifts. 2. Place these items in a pot, crockpot, or fondue pot with water and let it gently simmer. 3. Simmering releases the amazing smell. Keep adding water as it evaporates. 4. You can reuse the mixture several times, just refrigerate in between uses. 5. 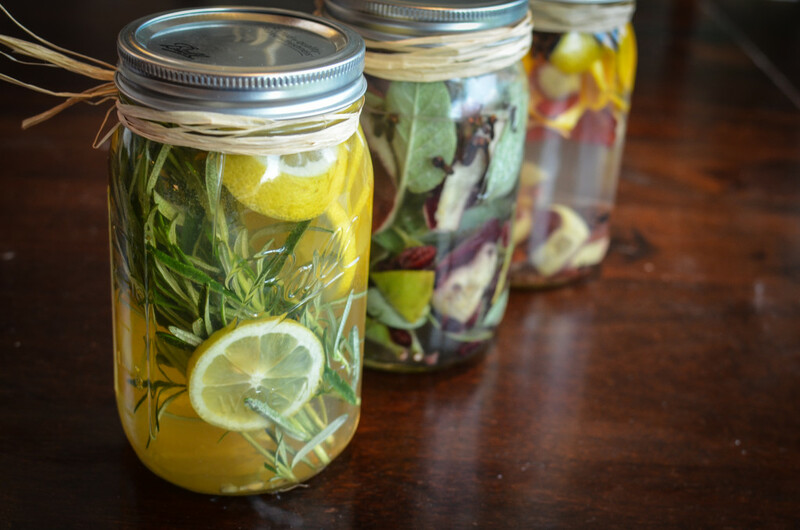 If you are giving as a gift, place ingredients in a mason jar with water, and refrigerate until using. 6. They smell lovely, but remember this isn’t really for eating! I hope you enjoy, and if you have great smell combinations, please share in the comments box below! This is a great alternative to the chemical-filled air fresheners, and it really fills the house! Choose whatever combination of scents you like. They smell lovely, but remember this isn’t really for eating! Place your flavor combination items in a pot, crockpot, or fondue pot with water and let it gently simmer. Simmering releases the amazing smell. Keep adding water as it evaporates. You can reuse the mixture several times, just refrigerate in between uses. If you are giving as a gift, place ingredients in a mason jar with water, and refrigerate until using. Aromatics!! It looks really amazing and I bet it smells EVEN better! O.M.G. tryed this makes my house smell better than christmas dinner!